Recently, I did a list of my top five DC heroes that I felt deserved a big screen adaptation (you can read it here). It's only fair that I do one for Marvel, right? 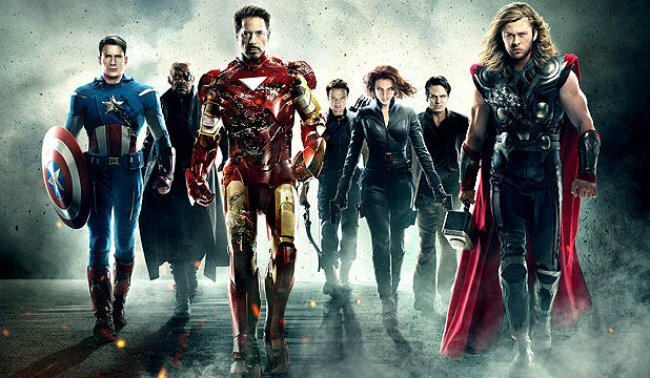 I have to be honest though- I'm not altogether familiar with the Marvel heroes, having grown up mostly reading DC... however, there are a few that have caught my eye over the years, and I think would make good movie entertainment. 1. Blonde Phantom: A mob era femme fatale who fought crime from the shadows with pistols, and martial arts... all while wearing high heels. While the original comics were rather sexist, I think that an updated version (still taking place in the 30's and 40's though) would be a fun, exciting movie. 2. Dead Girl: A woman with no memories of her time as a living person. Fighting the undead and mystical forces of darkness. What's NOT to love about this, eh? 3. Ebon Samurai: A Japanese police officer assigned to protect the Emperor is killed in the line of duty by terrorists. Sensing a thirst for revenge, the spirits of the underworld bring Kioshi Keishicho back... but with his soul bound to a suite of black samurai armour. As he tracks the terrorists, the suit keeps reminding him of what the spirits demand as payment for this chance at justice. Will he complete his task before the armour corrupts his soul? This would make a phenomenal movie in my opinion, and certainly add to the diversity of the MCU. 4. Hit-Monkey: A monkey. Who's a hit-man. Who tracks and kills other assassins. Seriously. Why HASN'T this been made into a movie yet? 5. Squirrel Girl: A fairly popular character at present- mostly because of the humour behind the idea of a woman who can communicate with squirrels. This could certainly prove to be a fun movie to watch. So, there we have it! What do you think? What? No Howard The Duck?